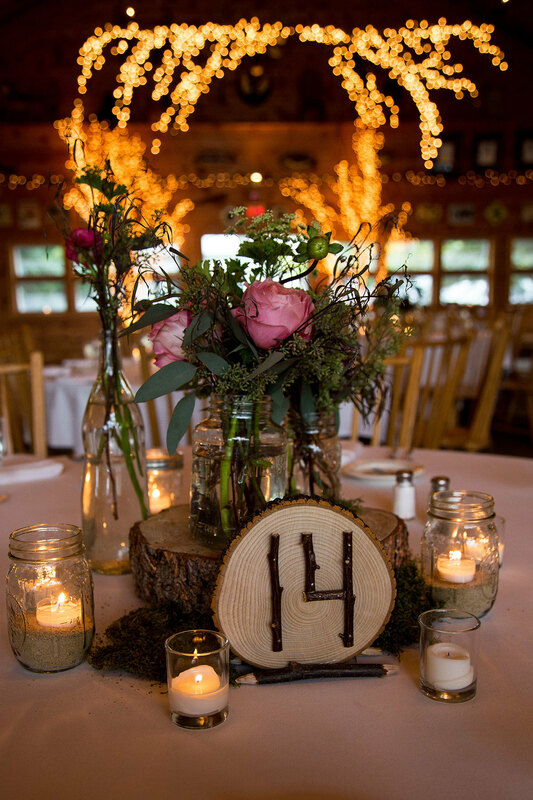 As you know, choosing the perfect ceremony location depends on the time of year. 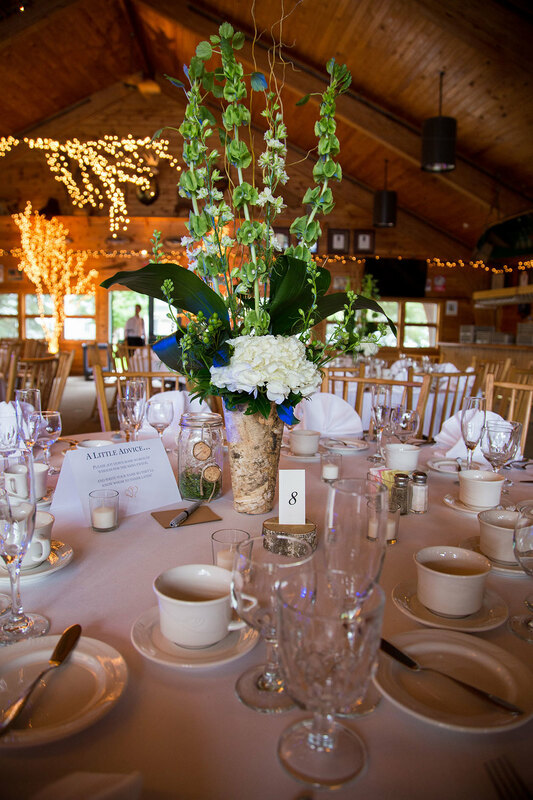 We offer both outdoor and indoor wedding venues to suit every season. Listen to the loon call as you watch the fog rise slowly off the lake. 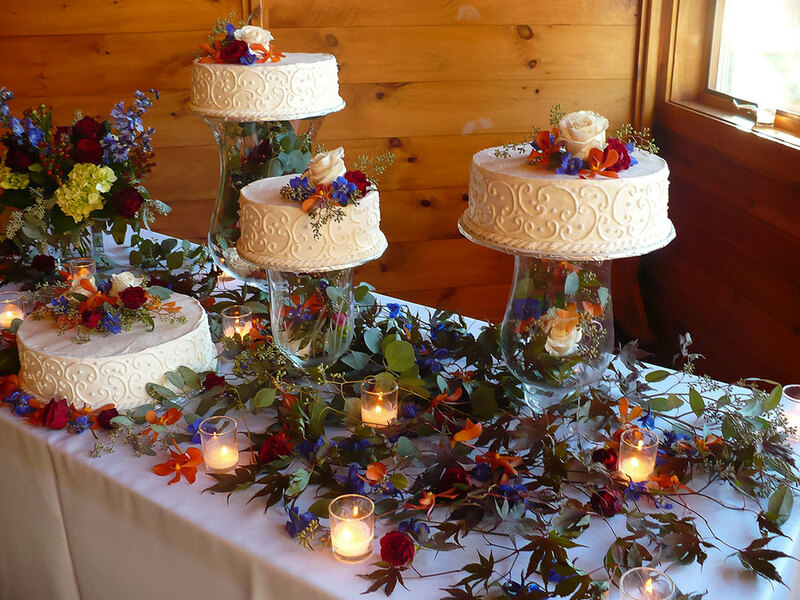 Feel the brisk fall breeze on your face as you and your partner exchange vows in front of friends and family with the backdrop of the Adirondack mountains ablaze in beautiful fall colors. 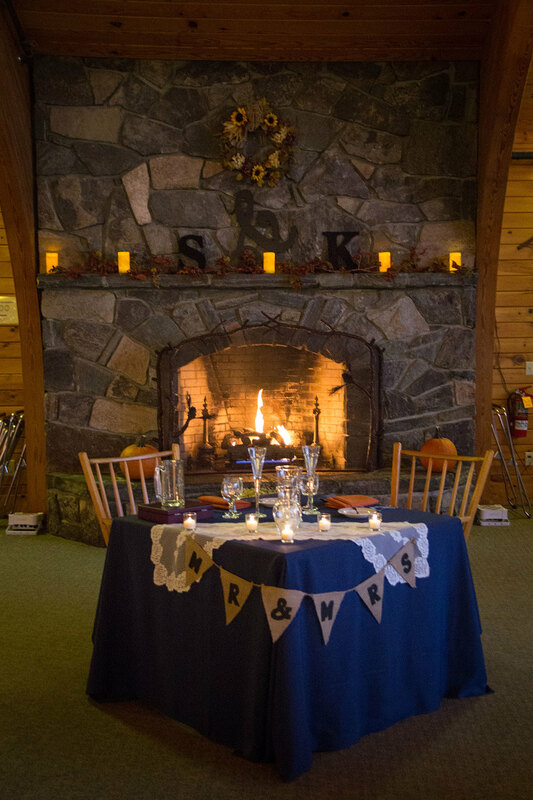 After your ceremony, enjoy cocktails and hot apple cider with your guests. 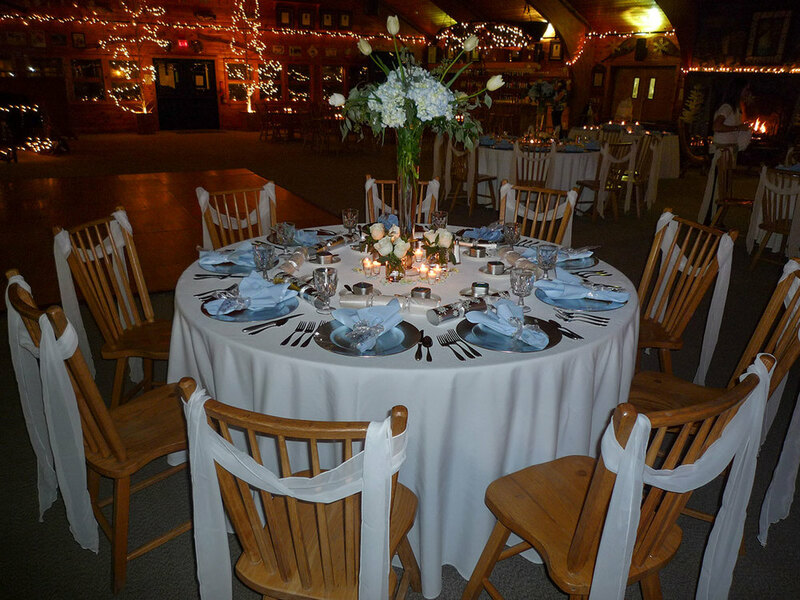 Enjoy a hot cocoa by the fire after your rehearsal dinner, or look on as guests skate circles around our outdoor rink. Say ‘I do’ as the snow falls gently behind you in a winter wonderland. There is nothing more stunning than the stars twinkling in the Adirondack night sky, as the moon shines onto the snow covered mountains. The trees are budding, the flowers are in bloom, and the vibrant greens of spring are a sign of growth and starting anew. Look into your partner’s eyes with your bare feet in the sand or with the grass beneath your toes; our vast lake is the perfect backdrop for your lakeside ceremony. 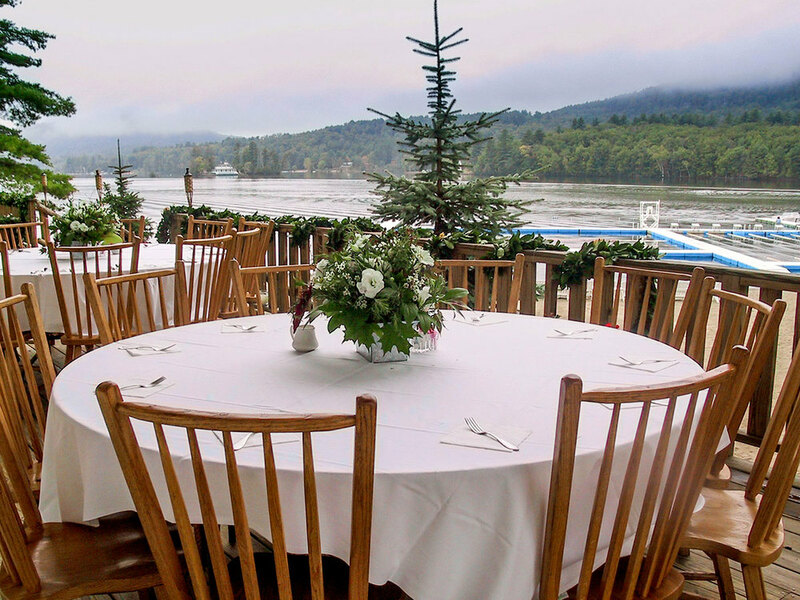 Bask in the Adirondack sun as you and your guests celebrate your special day. Every couple needs someone who can work closely with them to create their ideal wedding. 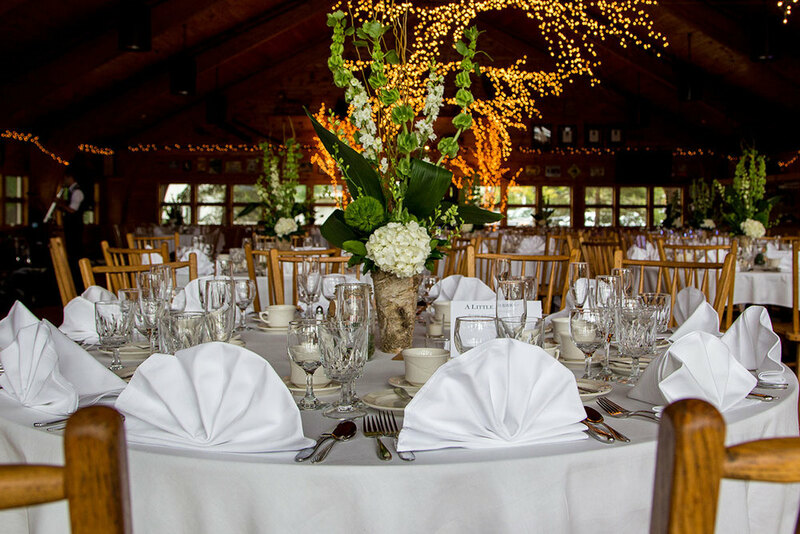 From offering ideas to helping with logistics, our on-site wedding planner will save you stress leading up to your big day. 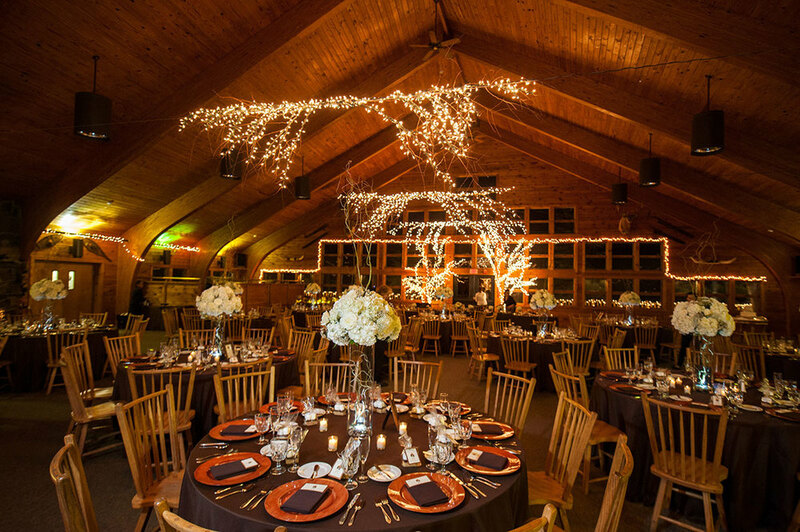 Planning a wedding is much easier with knowledge of the property and the latest styles and trends. We only work with the most talented florists, bands, DJs and photographers. 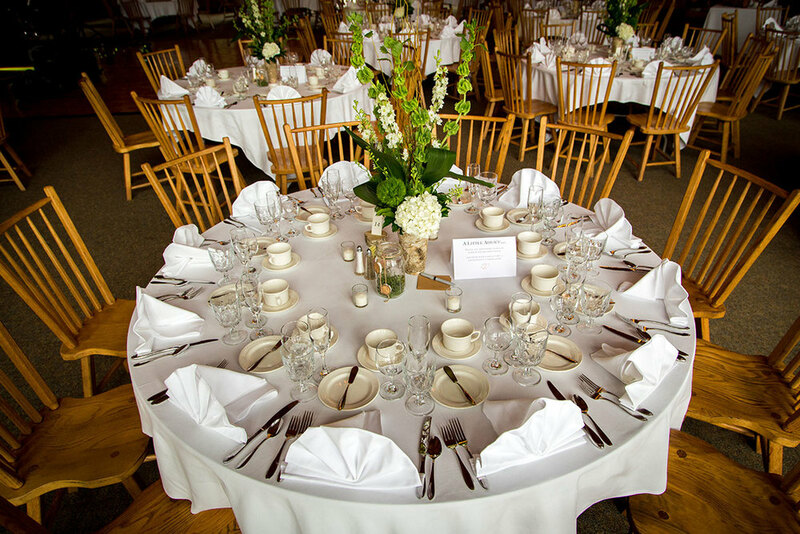 Our extensive vendor list can make the planning process so much more enjoyable. From the first phone call to the celebration’s end, our team will support you every step along the way to create an event that is unique and successful in every way. Please contact events@jimbosclub.com with any questions. 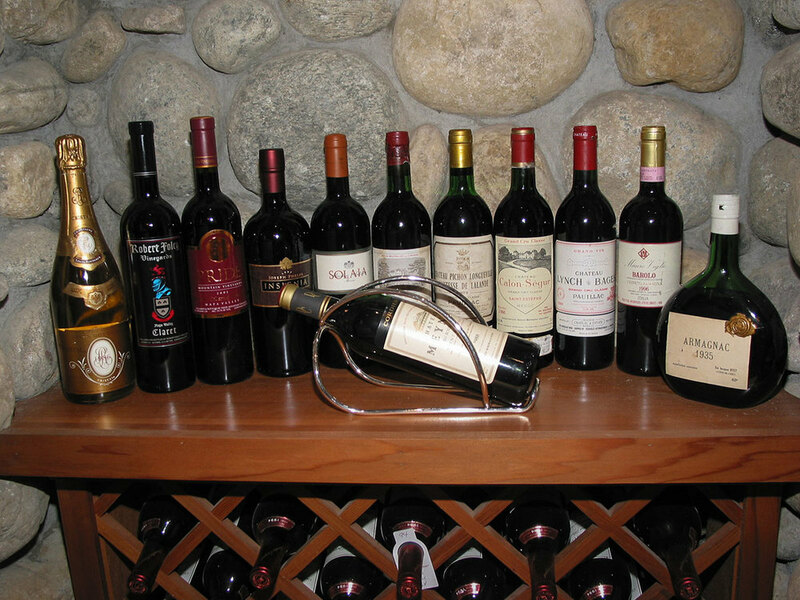 Our Wine Spectator Award-winning wine list offers some of the finest wine anywhere. Our selection is particularly strong in California reds, featuring prized Cabernet Sauvignon, Merlot, Syrah, Pinot Noir and Zinfandel. 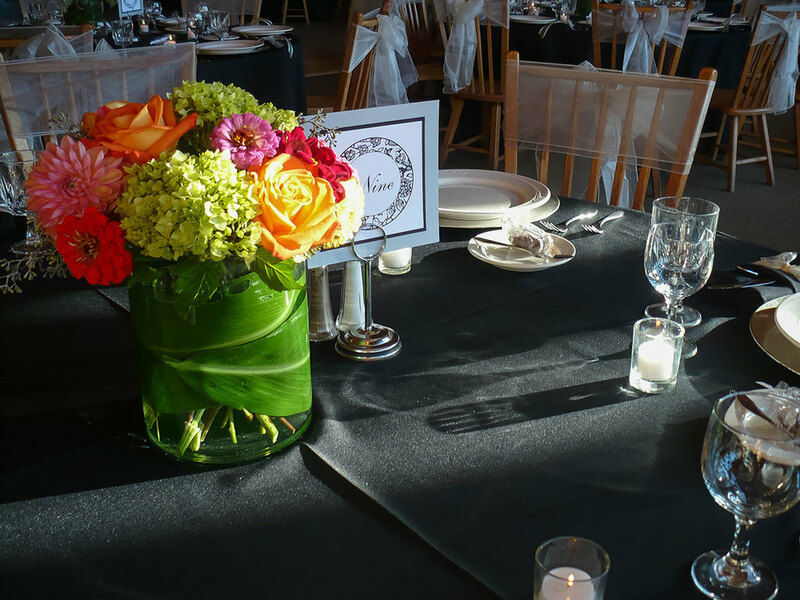 Our chair-length white linens and white napkins are available to all parties without cost. Enjoy your dessert with complimentary coffee and tea. Our culinary team will cut your cake at no extra charge. 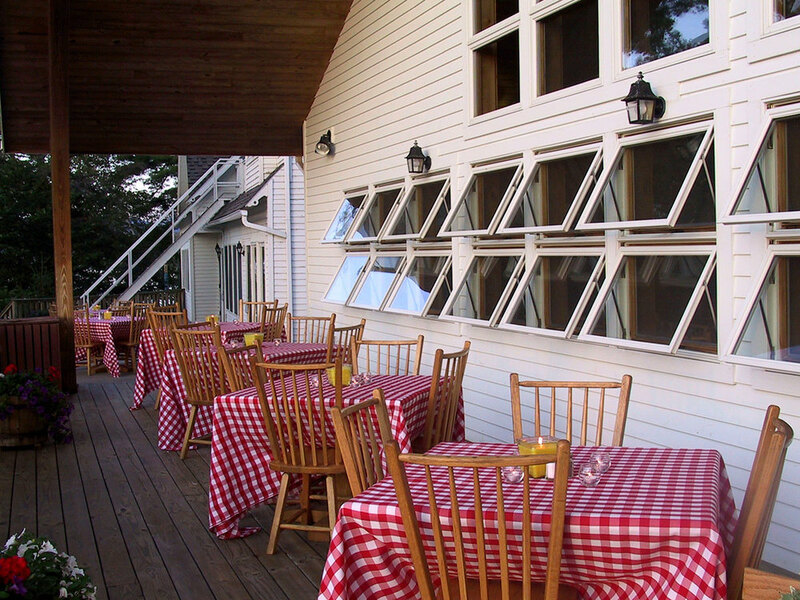 Our cozy cabins and hotel-style rooms are perfect for couples or families. We can host up to 200 guests. After dinner and dancing, your family and friends need only walk across the lawn to their rooms. 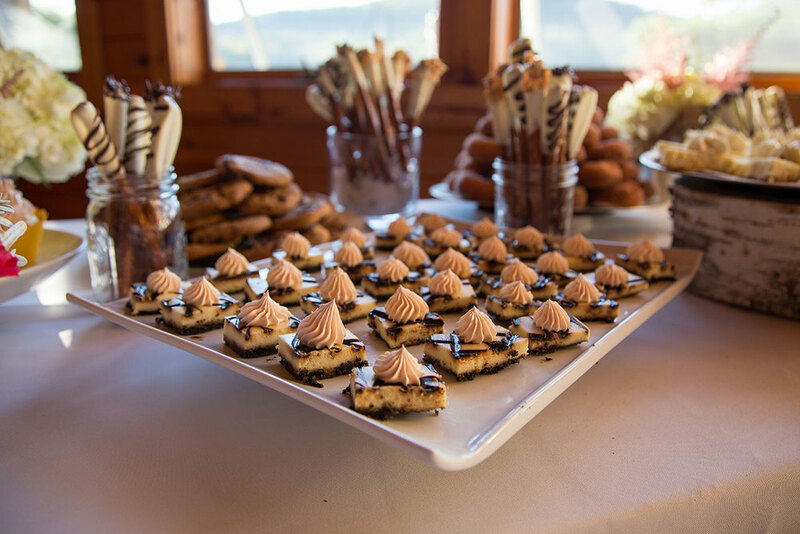 In the morning, treat your guests to a brunch buffet. Our Rec Hall, courts and sport fields are yours for the weekend. Treat your guests to various land and water sports: softball, basketball, tennis, swimming, waterskiing, kayaking & canoeing, and more. 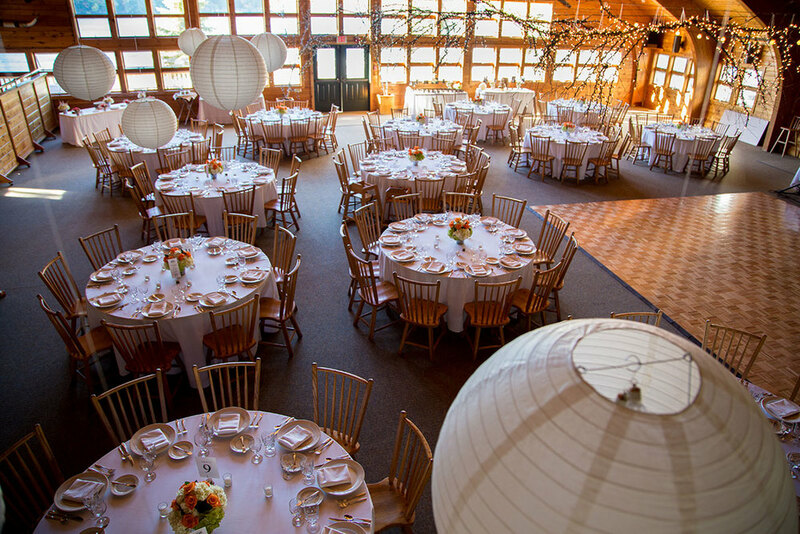 Jimbo's Club has the largest open floor reception Room in the Adirondacks. 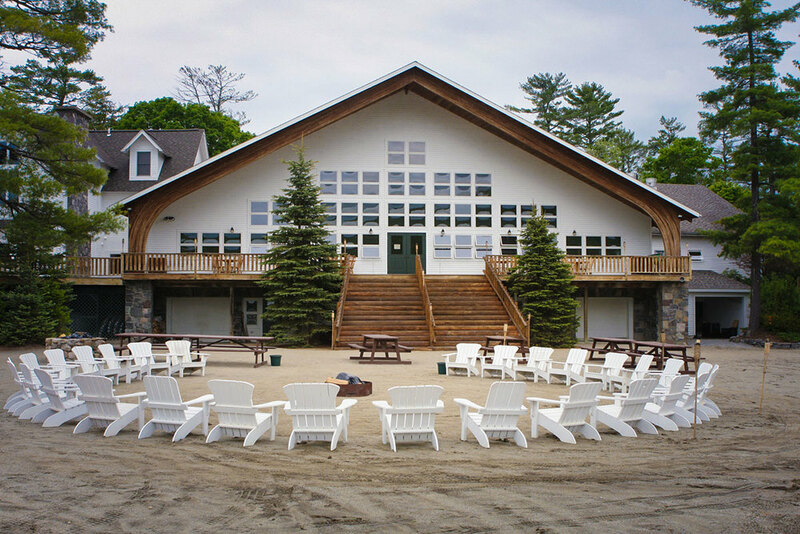 Overlooking Brant Lake, the Room can comfortably serve 300 guests.